The Israeli Military Censor has outright banned the publication of 1,936 articles and redacted some information from 14,196 articles over the past five years. That is 1,936 articles that professional journalists and editors decided were of public interest but which never saw the light of day. In fact, the IDF Censor redacted at least some information from one in five articles submitted to it for review since 2011, according to data provided by the Israeli army at the request of +972 Magazine, its Hebrew-language sister site Local Call, and The Movement for Freedom of Information. Under the new chief IDF censor who entered the job last year, there has been a dramatic rise in the number of instances in which the Censor contacts publishers with demands to alter or remove items that have already been published — almost double the number of post-publication censorship attempts in years past. At the same time, the new IDF Censor is intervening slightly less in articles submitted to her office for review prior to publication. Since the start of 2011, the years that saw the most censorship were those in which Israel was engaged in warfare in the Gaza Strip. The highest rates and frequency of censorship took place in 2014, the year of Operation Protective Edge, and the second-highest was 2012, the year of Operation Pillar of Cloud. Furthermore, the data confirms that the IDF Censor’s office bans the publication of documents and materials from the State Archives, documents that have already approved for publication, and some of which have already been published in the public domain. The Israeli military censor in Israel draws its authority from emergency regulations put in place during the British Mandate period, many of which have remained on Israel’s law books for upwards of 70 years. Media outlets in Israel, lately expanded to include independent blogs and websites (like +972 Magazine) are required to submit to the IDF Censor for prior review any articles that fall under a broad list of topics relating to national security and foreign relations. The Censor may forbid publication of part or all of the article. That said, the decision of which articles and news items are submitted to the censor for review is made on a case-by-case basis by news organizations and editors themselves. 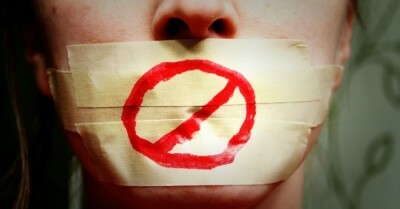 However, once an article has been censored by the military, the journalist is forbidden from revealing what information has been removed, or even to indicate that information has been censored. Adding to the lack of transparency is the fact that the IDF Censor is technically a part of IDF Intelligence branch. Because of that institutional association, “it is not subject to freedom of information laws,” explains Attorney Nirit Blayer, executive director of the Movement for Freedom of Information. “Nevertheless, the person in charge of freedom of information in the IDF has an approach of publishing anything that can be published.” Therefore, we received the requested information quickly and without much difficulty. Between the years 2011 and August of 2016, between 13,000 and 14,000 items were submitted to the IDF Censor for prior review each year. During 2011 and 2013, between 20 and 22 percent of items submitted for review by the IDF Censor were redacted either in part or in full, although in the vast majority only part(s) of the item was blocked for publication. In 2014 there was a significant spike in the frequency of censorship, most likely explained by the war in Gaza that year. Of the articles submitted for prior review by the censor that year, 26 percent (3,719 articles) were partially or fully blocked for publication (22 percent were partially redaction, 4 percent were fully censored). In the past two years, however, there has been a slight reduction in the percentage of articles that were redacted or censored. The IDF Censor partially or fully censored 19 percent of items submitted for review prior to publication. From the start of 2016 through August, that number dropped even further to 17 percent — the lowest rate of censorship intervention in the past five-and-a-half years. However, from the very beginning of her tenure as the current IDF Censor last year, Col. Ariella Ben-Avraham has been expanding the scope of the IDF Censor’s purview, putting an emphasis on Facebook pages and blogs that self-identify as news or media pages. In late 2015, she contacted dozens of such Facebook pages (including +972 Magazine’s) and sent them a military censorship order requiring them to submit relevant materials prior to publication. It is now apparent that Ben-Avraham’s proactive policies are not limited to demanding the submission of materials. The current IDF Censor has also been actively seeking the removal, in part or in whole (the data we received does not distinguish), of materials that have already been published. Between 2011 and 2013 the IDF Censor sought the removal of already-published materials, on average, 9, 19 and 16 times per month, and 37 times a month during 2014 (when a war took place). In 2015, a year that saw no wars take place, the IDF Censor contacted publishers on average of 23 times a month with demands to remove content that had already been published. Thus far in 2016 (through August), that number has soared to an average of 37 times a month, the same rate as in wartime, or in other words, nearly two-times more frequently than in 2012. The censor also revealed that between 2014 and 2016, roughly 9,500 files from the State Archives relating to national security were submitted for review. According to the censor, roughly 0.5 percent of those documents were partially or fully censored. It was not clear how many individual documents were contained in the 9,500 files. The IDF Censor, in response to our questions, said that it has never approached third-party hosts of news or media (like ISPs or social media platforms) in order to seek the removal of information that was published despite its censorship attempts. However, authorities in Israel use other means of controlling the flow of information and censorship online, even when that information was not published by a person who falls under Israeli jurisdiction, as was reported on +972 earlier this summer. In that case, like many others, the state used another tool for blocking the publication of information it sought to keep secret — judicial gag orders. Gag orders are issued by judges, often without much deliberation and almost always without any consideration of the public interest to know. The number and frequency of judicial gag orders in Israel has grown dramatically in recent years. The number of gag orders issued by Israeli courts has more than tripled in the past 15 years, according to soon-to-be published research conducted by Noa Landau, editor of Haaretz’s English edition, during a fellowship at the Reuters Institute at Oxford last year. Collecting data from Israeli police, the court system, the Israeli army, and Haaretz, Landau found that in the past five years alone, the number of gag order requests went up by roughly 20 percent. So while the IDF Censor — with the exception of during wartime — is keeping the use of its powers at levels that remain relatively static, in some ways even reducing the them, Israeli authorities have found a work-around in judicial gag orders. The one piece of data that is missing from the picture, however, is self-censorship. How often do journalists and editors decide on their own not to investigate, look into or write about sensitive topics because they believe the military censor or a judge will stop them from publishing their story? How many stories simply disappear that way every year? We’ll never know.